Think of it as a catalytic converter in a bottle. Using nanotechnology, a group of entrepreneurial scientists has introduced to the marine industry a diesel additive that they say helps the fuel burn cleaner and more efficiently. "This is really cutting-edge science," says Kenneth Reed, chief technology officer of Cerion Energy in Rochester, N.Y. "We are reducing the amount of CO2, which means you&apos;re burning less fuel." Known as the Cerion GO2 Fuel Optimizer, the nanoparticle combustion catalyst uses cerium dioxide (similar to that in catalytic converters), but without precious metals. Catalytic converters use platinum and rhodium to convert carbon monoxide and soot to carbon dioxide while simultaneously reducing NOx, or oxides of nitrogen, to nitrogen and oxygen, Reed says. GO2 acts like a catalytic converter. "The catalytic converter is taking care of emissions and generating waste heat," Reed says. "We reduce harmful emissions while making useful work out of that heat." 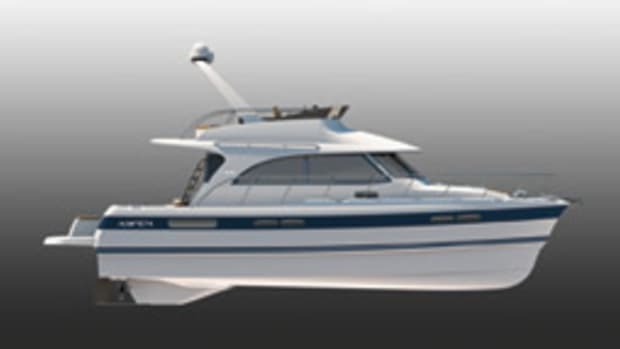 GO2 was introduced last fall at the Fort Lauderdale International Boat Show. Tests on commercial boats are showing an 8 to 13 percent increase in fuel efficiency and a 30 percent decrease in soot emissions, Reed says. GO2 costs $480 a gallon, and 1 gallon treats 4,000 gallons of fuel. 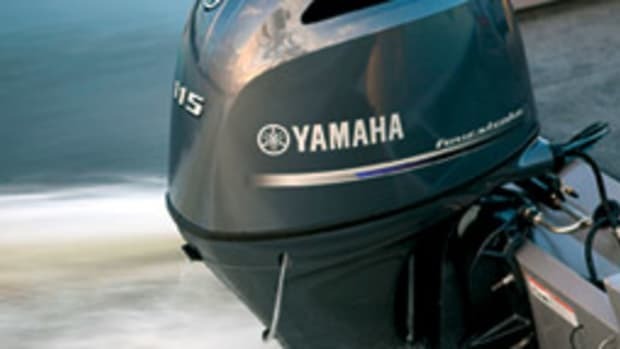 The company expects to introduce quarts or liters into the recreational boating market, says Matt Winslow, Cerion&apos;s vice president of business development. "Right now we are focused on the large commercial marine space - tug-, push-, towboats - and the high-profile yacht industry," he says. "The retail recreational boating space is a bit down the road." Cerion is testing the additive in twin MTU 1,830-hp diesels that power a Pershing 88. "We&apos;re accumulating hours on the Pershing and aren&apos;t ready to take fuel economy readings," Reed says. Testing on commercial vessels is further along, he says. Florida Marine Transporters tested the additive on its 110-foot steel tug, powered with twin 3512 Caterpillars. 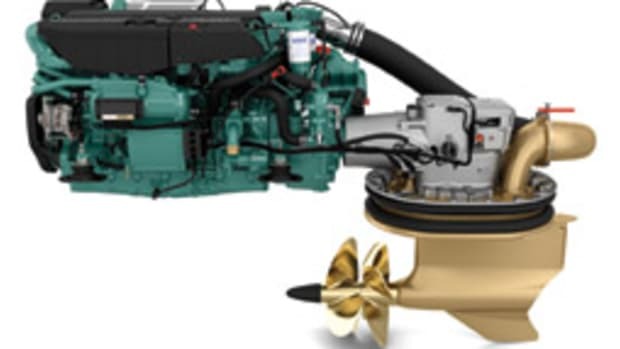 One of the 1,575-hp engines ran on untreated diesel, and the other on diesel treated with GO2. The engine running GO2 burned about 15 percent less fuel and its CO2 emissions were 9 percent lower, according to Florida Marine Traders. Can the technology work with gasoline? "Ultimately that&apos;s where we are going," Reed says. "We&apos;re doing the research on this motor-reactive nanoparticle combustion catalyst with the ultimate goal of helping the gasoline market." Dawn of the diesel outboard?